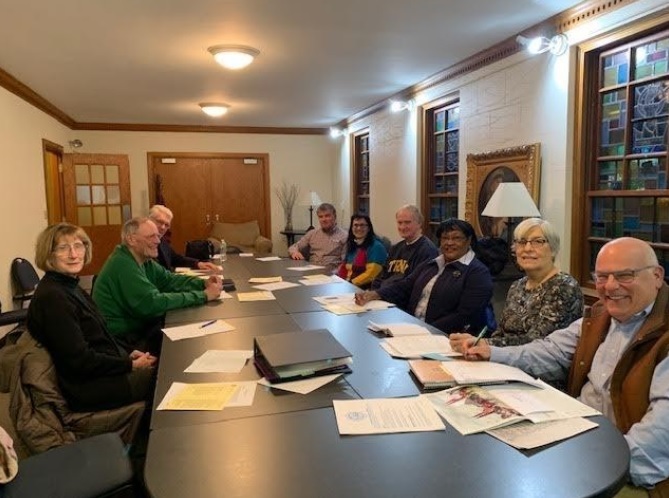 Over the past few weeks, we’ve introduced you to the Society of St. Vincent de Paul and to the recently formed Conference established by parishioners from St. John and St. Paul parishes. Our new Collaborative Service Commission has chosen the Conference as the recipient of this year’s Lenten Gift, providing a fitting opportunity for our two parishes to come together during this Lenten season to help launch the conference with a sound financial base. The Lenten Gift collection will be taken up at all Masses in both parishes on the weekend of April 6-7. Please make checks payable to your parish (“St. John Parish” or “St. Paul Parish”), noting “Lenten Gift 2019” in the memo. Special collection envelopes will be available in the pews and at the back of the churches. Gifts may also be made online, or mailed to/dropped at either parish office. We will total funds received from all sources and present one check to the SJSP Conference of St. Vincent de Paul. The three Lenten disciplines recommended by the Church are prayer, fasting, and almsgiving. This is our opportunity as a Collaborative to show Christ-like love for our neighbors in distress, and for each of us to share in easing the suffering and to answer Lent’s clarion call to love extravagantly. We ask that you be as generous as your means will allow. Thank you.